In India, homeopathy is the second-highest funded as well as used category under AYUSH, by the Indian government and public respectively. The expenditure on Ayurveda in 2014-2015 and 2015-2016 was Rs 206 crore and Rs 254 crore respectively. The expenditure on homeopathy was Rs 82 crore, rising heavily to Rs 167 crore, in the same periods. The trend follows for research as well. For 2016-2017, the budgeted expenditure for Ayurveda was Rs 170 crore and homeopathy was a close second at Rs 120 crore. While the budgetary allocation in 2016-2017 for allopathy was Rs 37,061.55 crore, AYUSH received Rs 1,326.20 crore. That’s about 3.58% of what allopathy receives. However government data says that 28% people in India use one of more kind of AYUSH treatments. Homeopathy is growing faster than Ayurveda and Unani in India. 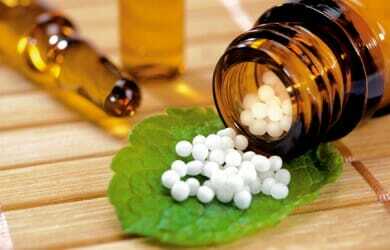 The use of homoeopathy is steadily growing in India and as per an analysis by Ministry of AYUSH, this sector exhibited an annual growth rate of 26.3% in the past year, the highest among the other AYUSH modalities. The organised homoeopathy market in India, which is estimated to be around Rs 2,758 crore, is expected to more than double by 2017. India leads in terms of number of people using homeopathy, with 100 million people depending solely on homeopathy for their medical care. Education and practice of homeopathy is regulated by the Central Council of Homeopathy. The Homeopathy Pharmacopoeia Laboratory works on the standardisation of homeopathic drugs. Central Council for Research in Homoeopathy (CCRH) is an apex research organization under Ministry of AYUSH, Govt. 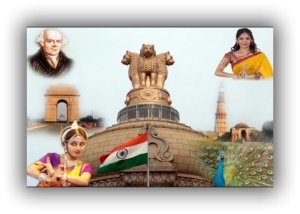 of India which undertakes, coordinates, develops, disseminates and promotes scientific research in Homoeopathy. The Headquarters of the Council are situated in New Delhi and multi-centric research is conducted through a network of 23 institutes/units all over India. The Council formulates and conducts research programs/projects; collaborates with national and international institutes of excellence to undertake evidence based research in fundamental and applied aspects of Homoeopathy; monitors extra mural researches and propagates the research findings through monographs, journals, newsletters, I.E.&C. materials, seminars/workshops. Studies comply with the modern scientific parameters and research is undertaken with the goal that the outcome of research translates into practice and the benefit of the research is extended to the profession and the public. There are 195 undergraduate colleges for homeopathy in India and 43 for post-graduate education. Out of this 13 PG colleges are in Govt Sector including NIH Kolkatta. Worldwide, over 200 million people use homeopathy on a regular basis.Homoeopathy is currently used in over 80 countries. It has legal recognition as an individual system of medicine in 42 countries and is recognized as a part of complementary and alternative medicine in 28 countries . The WHO states that Homeopathy is the second most used medical system internationally, with over $1 Billon in expenditures for such therapy. Legal Status of Traditional Medicine and Complementary/Alternative Medicine: A worldwide review. Geneva: World Health organization; 2001. I would be interested in the source of this 28% claim. From my limited research Homeopathy in India is a fringe therapy. India has a huge population. You take any tiny fringe group and you can come up with a very large sounding number. Right up until you look at that number as a percentage. Here, the National Sample Survey Office (NSSO), Ministry of Statistics and Programme Implementation reports on medical modality choices. The “other” category makes up about 5-7% usage. In “Other” we have AYUSH. So that’s only part of that 5-7%. The “H” in AYUSH is Homeopathy so that makes up a part of a part of the 5-7%. Taking that into account the claimed growth of 26.3% in homeopathy is hardly any movement at all amongst the wider medical treatment community. Looking at it from this angle you get a much more realistic representation of Homeopathy usage in India. However, this survey was taken in 2015. If there is a more up to date survey from the NSSO I would be very interested in seeing that. It does look like the author of this article overestimated the popularity if homeopathy in India by a factor of four. Can you say where that comes from? I can’t find the second on in that WHO reports. My apologies for the duplicate comment – it looked as if my original had not been published. However, I’ve had a look through those documents and can’t the statement about homeopathy being the “second most used medical system internationally”. Can you say whether it’s in the first or the second WHO document and on what page it is? As for the 28% of people in India use one or more kind of AYUSH, that figure is mentioned in the article, but they don’t provide a reference for that. Do you know where that comes from? The WHO states that Homeopathy is the second most used medical system internationally, with over $1 Billon in expenditures for such therapy. In the United states, there are more than 500 physicians and 5000 non-physicians using Homoeopathy in clinical practice, and 2.5 million Americans currently use Homeopathic medicines – of which two-thirds are self-prescribed spending more than $250 million annually. “The WHO states that Homeopathy is the second most used medical system internationally, with over $1 Billon in expenditures for such therapy. In the United states, there are more than 500 physicians and 5000 non-physicians using Homoeopathy in clinical practice, and 2.5 million Americans currently use Homeopathic medicines – of which two-thirds are self-prescribed spending more than $250 million annually. That book doesn’t appear to be published by the WHO, so it’s difficult to accept that as an authoritative and reliable source for the view of the WHO. However, as far as I can see, the 2004 version of that book was the 43rd edition, not the fourth. Can you clarify which you are referring to? Also, that edition was published in 2003, some 14 years ago and could well be out of date. The most recent edition is the 2018 version, the 57th edition: do you know if that provides the same information? But your claim in your article was that "The WHO states that Homeopathy is the second most used medical system internationally", so I'm not sure what it is you are now trying to claim: that homeopathy is "second most used medical system internationally" or that it's "the most popular Traditional. Complementary and Alternative Medicine (TCAM)" in some countries, or that it's the second most popular TCAM in countries with lower GDP? These are clearly completely different claims. I would appreciate your clarification. Have you been able to consider this? Do you agree with my analysis or do I have something wrong? It would be really good if you could respond to this so we can get to the bottom of it. Have you been able to make any progress on this? I’m sure you want to get to the bottom of this as much as I do – it’s important your readers are not misled, isn’t it?